Its time to plant! The garden has been sitting and looking pretty and I love the way it looks! But tomorrow I’m going to a new nursery to get some plants. There will be green in the garden soon, and something else new. 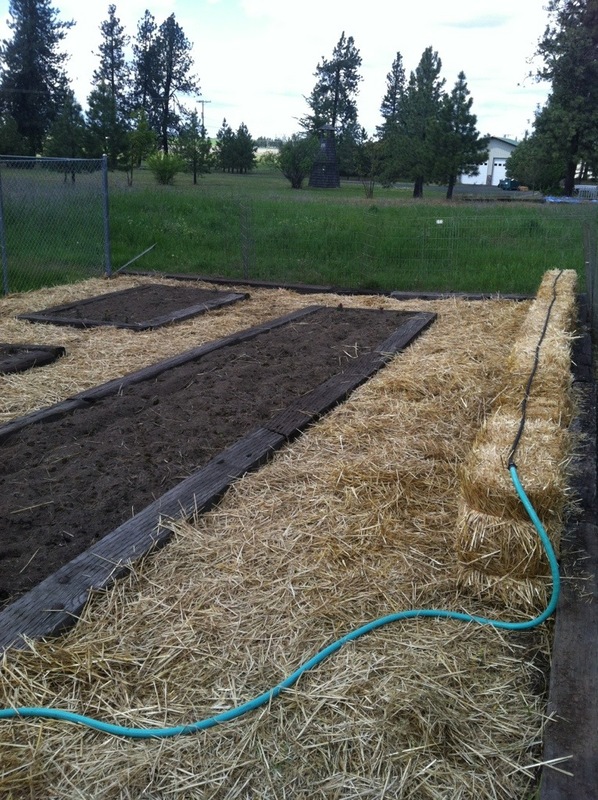 Today, I hauled 6 bales of straw into the garden for a new endeavor this year called “straw bale gardening”. I have read 2 books on the subject, one last year and one this year and I’m ready to give it a try. The concept is simple, use decomposed straw for your garden base and create a warm base without weeds for your garden to grow in. Since straw itself offers no nutrient value, you have to prep and “condition” the bales. It takes 12 days to condition the bales so tomorrow will be day #1. 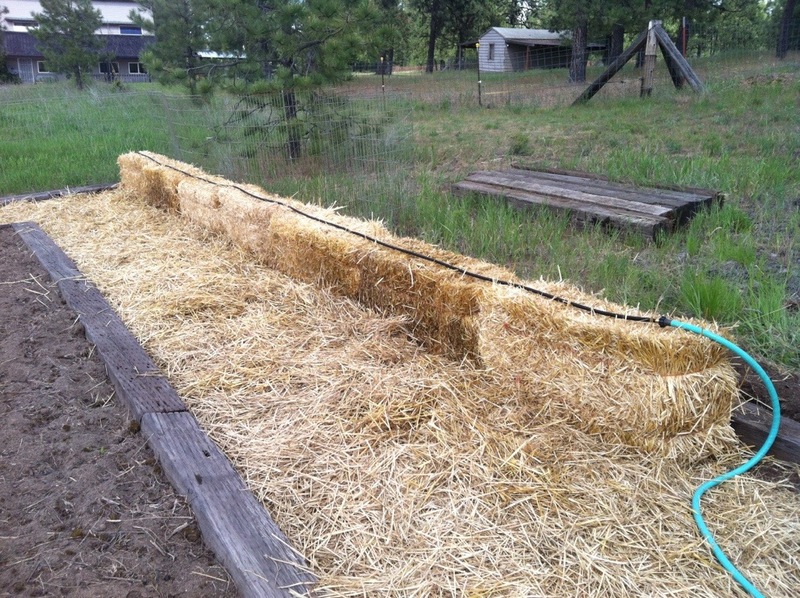 Today I just watered the heck out of the straw bales after I dragged them over from the barn. We’re still discussing watering systems. I’d like drip hose everywhere, but because I plan to make my boxes in the “square foot garden” style, I feel like I need 4 hoses in each box. So figuring out how to get this all on one hose system with a timer is what we’re up against right now. 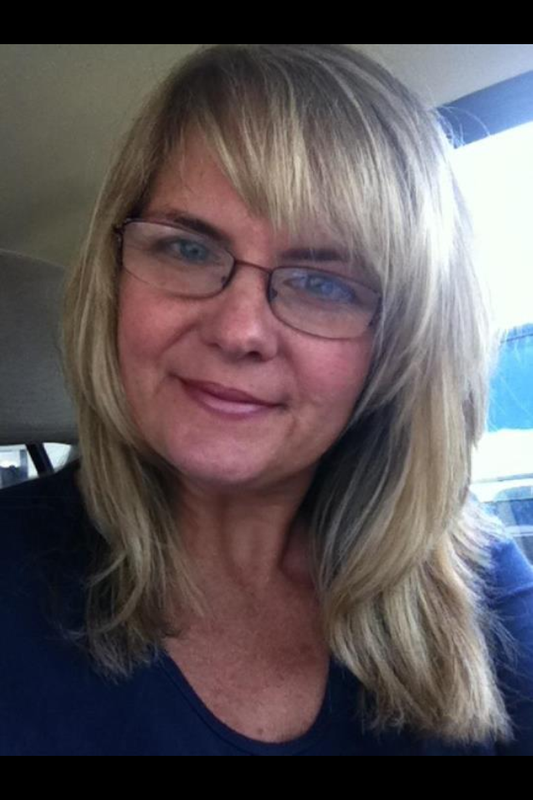 This entry was posted in Home & Garden on June 3, 2013 by gracewithouttears.